Lonan Play Equipment: Slides? 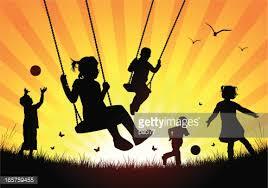 Swings? Roundabouts? The potential for development of the ‘play area’ at Church Close in Lonan was raised at the meeting of Garff Commissioners last night. This followed on from the ‘tour’ of Lonan undertaken by the clerks last week . The Commissioners resolved that provision of new facilities should be investigated. The views of local children, parents and residents will be sought in the next weeks but any comments would be very welcome now via garff@manx.net or on 422148. In particular, the Commissioners are keen to hear any good suggestions to give a sense of ‘ownership’ of the play area to the youngsters. Go on, get involved! The election countdown is underway for Lonan. Polling day follows hot on the heels of TT. The 14th of June will be the day for Lonan residents to elect two Members onto the Board of Garff Commissioners. The excellent turnout for the recent election in Laxey was very encouraging; it would be great to see the trend repeated by the residents of Lonan, especially with the Parish’s strong links to democratic icons like Emmeline Pankhurst. Polling cards will be dropping through letterboxes over TT; these will indicate whether the voter is to attend Lonan North (at The Working Mens’ Institute in Laxey) or Lonan South (at Baldrine Methodist Hall). There are three candidates standing for the two seats, Company Director, Stewart Clague; Teacher, Melanie Christian; & Lecturer, Tim Kenyon. Read here about Sophia Jane Craine-Goulden who was born in Lonan, and was also the mother of suffragette Emmeline Pankhurst. Sophia was probably a miner’s daughter and most definitely a passionate feminist. Like most things Manx she was clearly very influential. 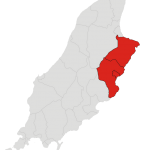 Welcome to the website for the new local authority of Garff created by the merger of the former authorities of Lonan, Laxey and Maughold. The new single Garff authority will continue and extend the work we have been doing over recent years under the Garff Joint Initiative to deliver services with increasing effectiveness and efficiency. 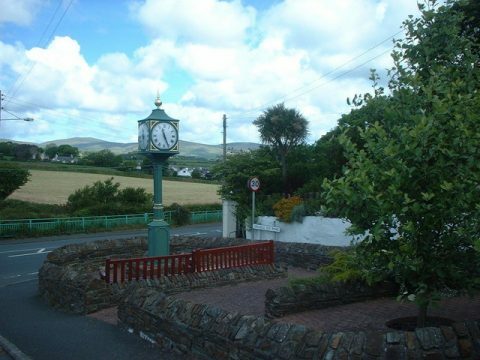 A key aim of Garff Commissioners will be to maintain the quality of service expected by the residents of Lonan, Laxey and Maughold. Further material and other improvements will be made to the website over the coming weeks.